This year seems to be rapidly getting very busy. In January, February and March I was flat out finishing my Arduino based R5 robot. We’ve been working with it on an ethics experiment. Many thanks to all those two participated in the research – your input was vital. We have a paper in review for that work now, so watch this space! I’ve also written several other papers related to AI Transparency. We mean transparency to be the extent to which complex artefacts, such as robots and other AI tools, are designed to make manifest their machine nature, and to explain their behaviour as they operate, so that we can understand them. 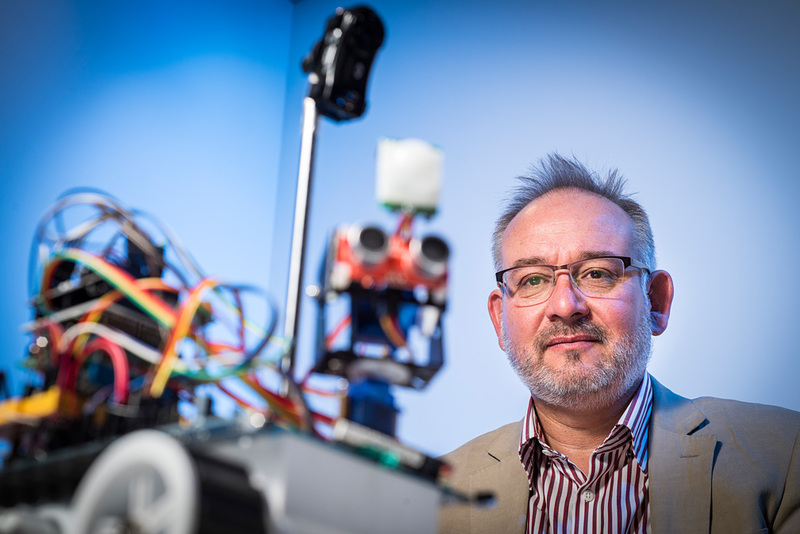 I was fortunate to be able to present these ideas at the AISB Principles of Robotics workshop at the AISB annual conference in Sheffield earlier this month. The R5 robot uses my new Instinct Planner, and a paper on Instinct has been accepted for the ICAPS 2016 PlanRob Workshop in London in June. ICAPS is ‘the premier forum for exchanging news and research results on the theory and applications of planning and scheduling technology’. The ICAPS conference runs for a week and I’m very much looking forward to attending. I’ve also been selected as one of 25 participants for the CHERISH-DE Crucible programme. This involves three 2 day workshops in May, June and July. Based in Swansea CHERISH-DE is a substantial, well funded initiative ‘centred on an understanding of the human context and condition alongside the potential and limitations of digital technologies’. This meshes well with my interests in deploying real-world AI for real world problems, and AI/robot ethics. I’ve already booked my holiday in August! For further details on my work, please do look at my Research and Projects pages, where you will find links to the papers and more details on the R5 Robot and the Instinct Planner.